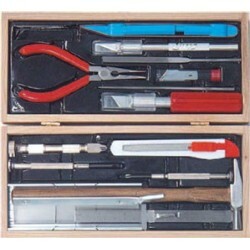 Redecorate and redesign your dollhouse with this Railroad Tool Set. Your decor and collection of miniatures will be taken to another level of fabulosity. 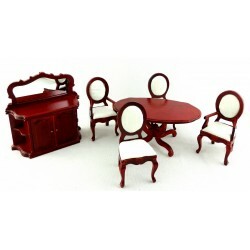 You will love this Mahogany Dining Room Set 6pc as it complements your other miniature dollhouse furnishings. Now is the time to design a great new look! Adding this 4-Poster Bed/Walnut to your miniature collection is just what you need to make your dollhouse a home, and showcase your fabulous taste. 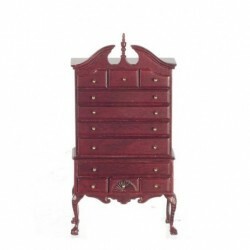 You will love this Mahogany Chippendale Chest On Chest as it complements your other miniature dollhouse furnishings. Now is the time to design a great new look! Spruce up your dollhouse with this miniature Welsh Cabinet, Unfinished. We have many miniature accessories for that finishing touch. 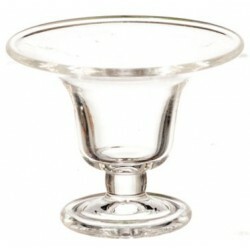 Redecorate and redesign your dollhouse with this Fruit Bowl, Medium. Your decor and collection of miniatures will be taken to another level of fabulosity. You will love this Clown Saxophone as it complements your other miniature dollhouse furnishings. Now is the time to design a great new look! 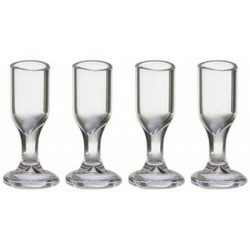 Adding this Glass Stemware, 4 pc to your miniature collection is just what you need to make your dollhouse a home, and showcase your fabulous taste. You will love this RGT Real Good Toys Charlotte's Manor Dollhouse Kit as it complements your other miniature dollhouse furnishings. Now is the time to design a great new look! NEW for Fall 2017...the latest and greatest series of 1-inch scale, unfinished dollhouse kits from Real Good Toys includes Charlotte's Manor. Adding this Wood Gazebo Kit to your miniature collection is just what you need to make your dollhouse a home, and showcase your fabulous taste. You will love this Clear Bottle Beer as it complements your other miniature dollhouse furnishings. Now is the time to design a great new look! 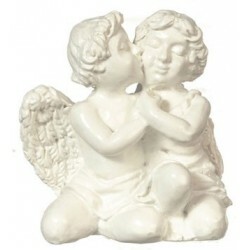 Enhance your dollhouse collection with this Two Cherubs, White. Added to your other dollhouse miniatures, it is a complement for a variety of styles and tastes. Spruce up your dollhouse with this miniature 0.064 IN Thick Copper Etching Plate 8 IN Wide X 10. We have many miniature accessories for that finishing touch. Redecorate and redesign your dollhouse with this Blue & Gold Victorian Sofa. Your decor and collection of miniatures will be taken to another level of fabulosity. 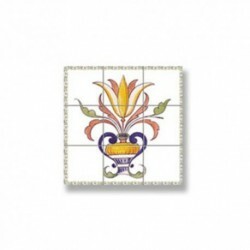 You will love this Picture Mosaic Tile as it complements your other miniature dollhouse furnishings. Now is the time to design a great new look! 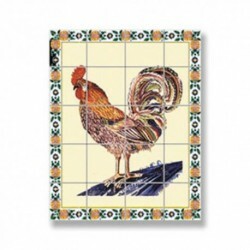 Adding this Picture Mosaic Tile to your miniature collection is just what you need to make your dollhouse a home, and showcase your fabulous taste. 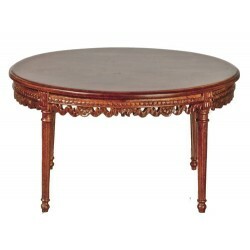 You will love this Federal Round Table/waln as it complements your other miniature dollhouse furnishings. Now is the time to design a great new look! Adding this Canopy Bed Set/3/white to your miniature collection is just what you need to make your dollhouse a home, and showcase your fabulous taste. You will love this 1/2in Brick And Stones as it complements your other miniature dollhouse furnishings. Now is the time to design a great new look! 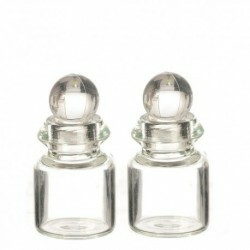 Enhance your dollhouse collection with this Glass Bottle W/lid/23mm. Added to your other dollhouse miniatures, it is a complement for a variety of styles and tastes. 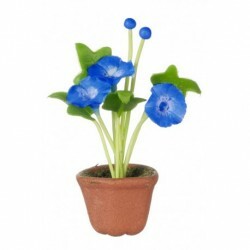 Spruce up your dollhouse with this miniature Morning Glories In Pot/bl. We have many miniature accessories for that finishing touch. Specializing in miniature dollhouse furniture, accessories, furnishings, kits, building components & materials and dollhouse supplies. Your online source for quality dollhouse miniatures. 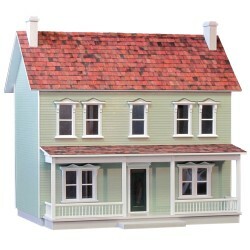 We carry high quality dollhouse miniatures at affordable prices! Inside you will find miniature furniture for every room of your dollhouse, finished dollhouses and kits, building materials and supplies needed to build your dream house, electrical lighting to bring your project to life, flooring, and dollhouse accessories. From the luxurious Town Square miniature furniture collections, to classical and modern styles, we provide exceptional dollhouse miniatures for every room, every taste, and every imagination! 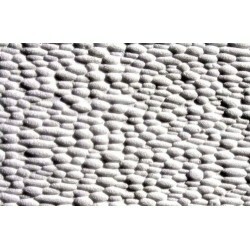 Unless specified all of our products are 1"=1' scale (1:12 scale). Other scales are listed in their associated categories, 1/2" Scale Miniatures, 1/4" Scale Miniatures, and Other Miniature Scales. All product detail pages list their scale under the data sheet tab as well. We continue to work hard to get measurements on all of our items. If you are interested in an item but you need the measurements to make your purchase decision, please do not hesitate to send us the SKU(s) through our contact us form, or our online chat feature, and we will be happy to update that item just for you. 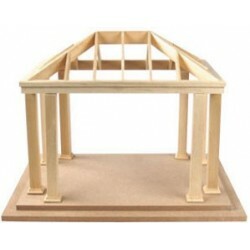 Whether you are shopping for a unique gift for a dollhouse hobbyist, a miniature representation of a family heirloom to pass on for generations, or quality life-like miniature dollhouse furniture for your favorite dollhouse, our user friendly website is sure to help you find what you are looking for. Boasting over million minis in stock at any given time, we strive to keep our availability and pricing current and competitive. Our main goal is to provide you with the best on the web in dollhouse furniture, and signature service via our friendly customer service, our toll-free telephone number, online chat, and/or our online contact form. If you are having trouble finding what you need, do not hesitate to contact us for additional help. 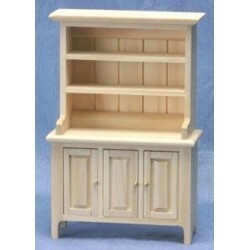 Bookmark us and check back frequently as we are adding new dollhouse furniture regularly.